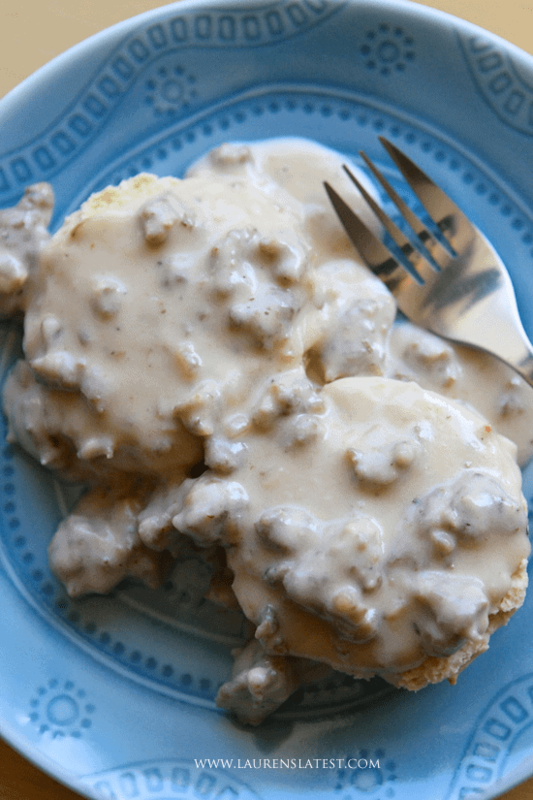 A reliable, classic recipe for Biscuits and Gravy. 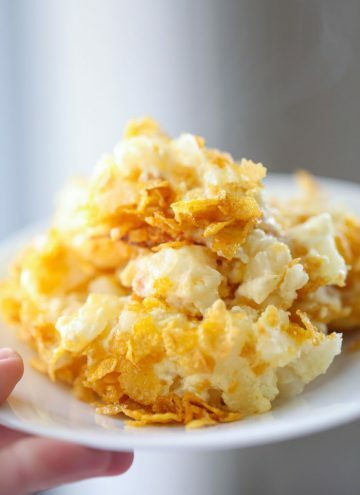 Creamy, savory and oh so comforting this is a staple breakfast recipe! Is there anything better than biscuits and gravy on a cold and gloomy day? I submit that there is not. 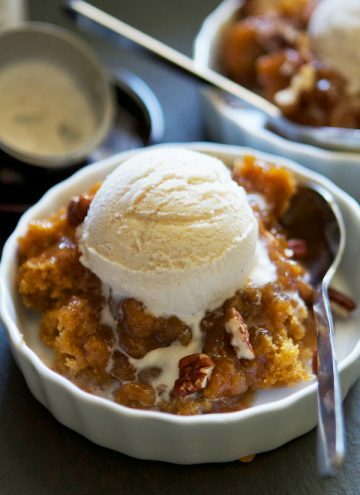 This is such a classic comfort favorite that I knew I had to perfect it, especially with Fall (and winter….grumble grumble) knocking at our door. 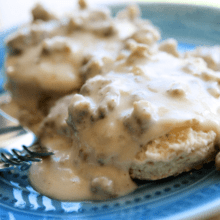 First come the biscuits and then comes the creamy sausage gravy. All of these steps that go into making a completely from scratch, homemade biscuits and gravy are not hard, but do take some time. So, if you’re in a rush, save this recipe for another day. The biscuits are made in a food processor, but can totally be made by hand in a bowl. You’ll just be using a pastry blender to break apart the butter. 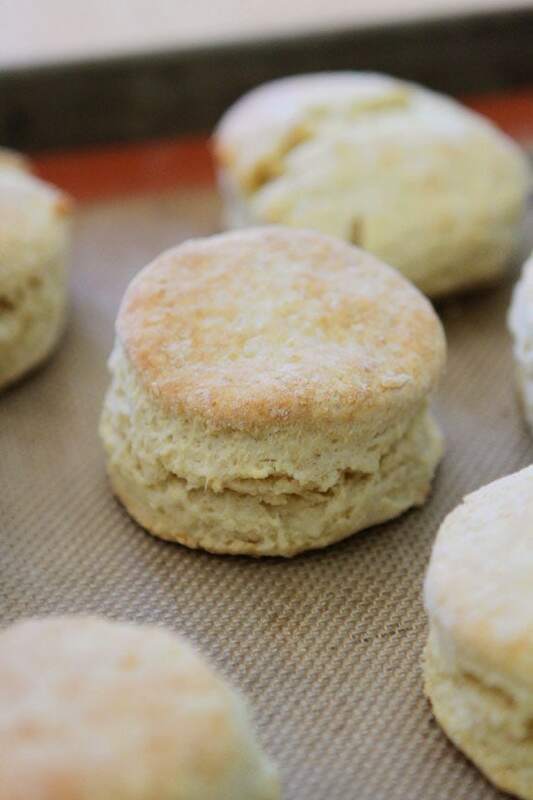 Also, the biggest tip for making tender and flaky biscuits is to not work the dough too much once you add the milk. Once the liquid goes in and you start mixing, gluten starts to form. Too much gluten and you’ll have a chewy mess. 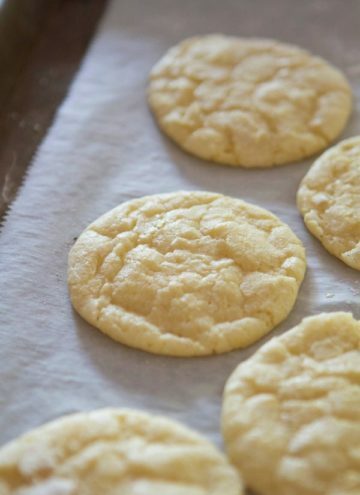 For pizza dough, you want to knead it for that chew….not so much for biscuits. For the gravy portion, I flavor my ground pork with a homemade spice blend (based on my homemade breakfast sausage recipe here). Of course you can use breakfast sausage that is already flavored but I didn’t have any on hand, hence the homemade seasoning. One other tip that you’ll need to remember: once you add in the milk to create that thick gravy, you’ll want to increase the heat to get it bubbling but then reduce it right away to keep it at a light simmer. This is to prevent the milk from curdling. Chunky gravy is not delicious, incase you were wondering. You start out by making the biscuits. Lots of simple ingredients thrown together and cut into biscuits. Bake these off and set them aside. I love a big, tall poofy biscuit. While the biscuits bake, you can make your gravy: mix the spices into the pork, brown up some onion, add in the homemade sausage, add in the liquid to make a gravy and simmer. Usually, I can get the gravy done in the time it takes the biscuits to cook. Once those biscuits come out of the oven, slice ’em open and slather generously with this gravy. 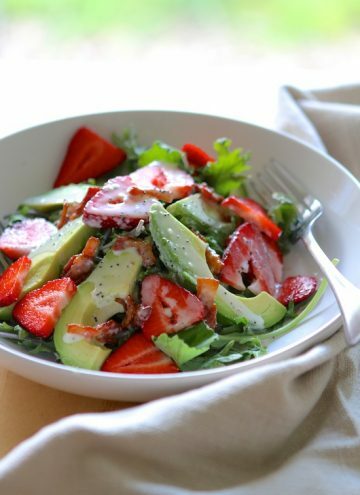 Mmmm….comfort food to the max! Love it! So, besides those few tips and tricks, listed above, the rest should be relatively simple. Grab my printable recipe below. Have a great day, friends!! To make the biscuits, preheat the oven to 400 degrees F. Line a baking sheet with parchment paper or a silicone baking mat and set aside. In the bowl of a food processor, combine the flour, sugar, baking powder, salt and baking soda, pulsing a few times to mix.Add the butter and pulse until it’s the size of small peas. Pour in the milk, pulsing, until incorporated. Pulse 5 more times, then transfer the dough to a lightly floured work surface. Form dough into a ball, ensuring it is well mixed, sprinkling with flour as needed. 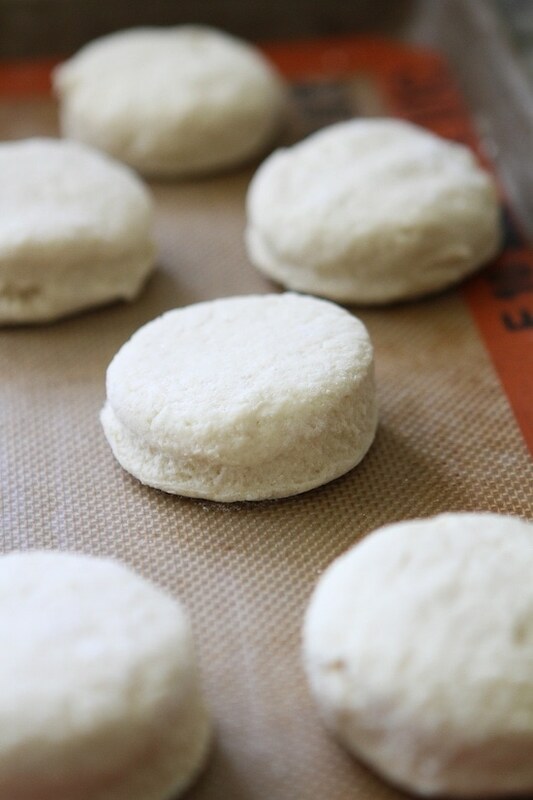 Roll the dough out to 1 1/4-inch thick, then use a 2 1/2-inch biscuit cutter to make 8 biscuits, re-kneading and re-rolling the scraps as necessary. 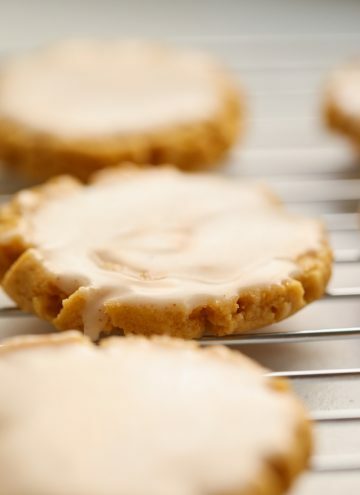 Arrange the biscuits on the prepared baking sheet and bake until lightly browned, 12 to 14 minutes. Meanwhile, make the gravy: In a large bowl, combine the pork, brown sugar, maple seasoning (if using), salt, black pepper, sage, rosemary, thyme, marjoram, nutmeg and cayenne, stirring to thoroughly combine. Set aside. In a large skillet over medium heat, warm the oil. Add the onion and cook, stirring occasionally, for 5 minutes. Add the pork mixture and cook, breaking it up with a spoon or spatula, until no longer pink, 5 to 6 minutes. Sprinkle in the flour and cook, stirring, for 1 minute. Stir in the milk, increase the heat to medium high, to bubble and thicken gravy. Reduce heat immediately to bring to a gentle simmer, whisking to smooth any lumps, until completely thickened, 2 to 3 minutes. Add more flour as needed to achieve desired consistency. Remove from the heat and stir in the maple syrup. Taste and adjust seasonings, adding more maple syrup, salt and black pepper to taste. Split the biscuits and arrange on plates. Spoon the gravy on top and serve. Lauren…….. Dear Lord I want this! You sure know how to make a girl crave breakfast. I was kicking myself when I came back from the States and hadn’t tried biscuits and gravy (or chicken and waffles) I was holding out until my next holiday to try it but this looks so delicious I might just have to give it a go at home! Oh how I love biscuits and gravy. This looks fabulous! I’m craving it now! 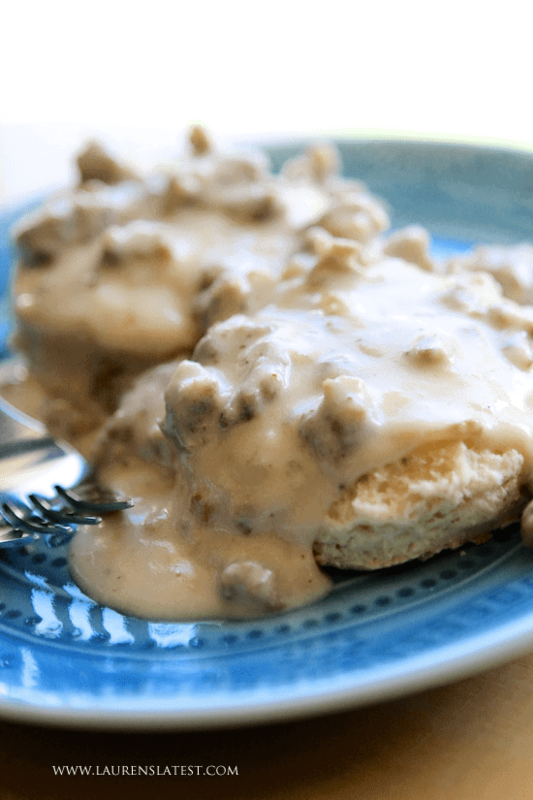 I find it impossible to say no to biscuits and gravy, and your version looks killer! Love the ebook! OMG – I neeeeeeeed to try these! I love Biscuits and Gravy. That’s a breakfast we need to make around my house soon! I’ve made this twice in the past 5 days. Thanks for the amazing recipe! My mom gravy has only 4 ingredients. A little long, but I love this recipe. Thank you. This is not true country gravy, To make real down home gravy you crumble and fry sausage and the add flour salt and pepper, the longer you brown flour the darker your gravy is, I like it med brown where my daughter likes it close to white. Set the mixture off heat for about 10 minutes to cool, I use cream milk and some water, stir in the liquid and simmer stirring often until desired thickness, if you happen to get lumps just use a whisk to remove, them spoon over your biscuits and enjoy. That’s how i do mine also, but I’ll tru the other one one day when i get time. I love Biscuits and Gravy very much. I will have to use chicken sausage, beef, turkey sausage. I have High BP along with a couple of other health issuses. I might make my 7 UP Biscuits to try with recipe 😄😄. Will let you know how it taste. Why is the actual recipe so far down? Had to scroll through a bunch if ads just to see what was in it.